4★ Complete Beatrix's Lvl 45 Fate Episode "Unbeatable Cooking"
The legendary evil blade once embarked on a trip to hell in search of a bloodbath, but was quickly shattered by divine might. 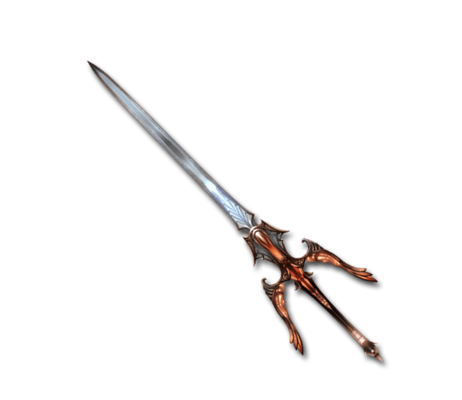 Bathing in dragon blood restored the blade to it's wicked glory as it continues to flicker in the dark abyss. Saga of the Volsungs Massive Dark damage to a foe. This page was last modified on 4 December 2018, at 10:26.